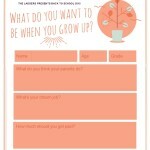 I’m someone who’s had lots of different answers to the question “What do you want to be when you grow up?”. When I was little I dreamt of being a sleuth , a writer, a princess, a mommy or, a combination of all of them. I didn’t want to be a detective I wanted to solve mysteries, like “Nancy Drew” in my eight year old brain there was a HUGE difference… I wanted to work off the grid and not with the “system” or so I had imagined. When I was in high school I spent an awful summer working as a Chambermaid gaining a healthy respect for that side of the service industry. I went to college taking Early Childhood Education and after graduation I worked in several Daycare settings before opening up a Private Day home in 2004 which is what I have been doing ever since. Now, I’m looking for a change. Apparently wanting to change careers numerous times isn’t that uncommon with my generation… I wonder, would anyone expect the charming house wife was a sleuth ready to crack the heist of the century? And because printables are super cute and a great way to record what their answers were .. I just want to leave you with this one thought…perhaps it’s because already in my short life I have worn many things and been many things. 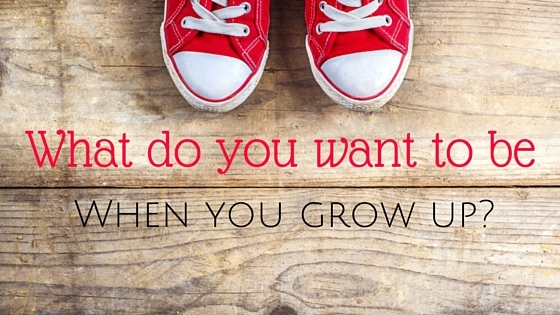 Why does, “What do you want to be when you grow up?” always seem to mean, “What job or career do you want to have when you grow up?” maybe it’s not about the job? How about, I want to be a well adjusted, responsible, emotionally mature adult who builds strong relationships, is reliable and trustworthy and an overall positive individual that people like to be around? Maybe, I’d like to be an intellectual, reasonable, common-sense kind of chick? The point is there are a lot of things worth being “When you grow up” that don’t have anything to do with your job status. It is interesting to ask our children this question and see how their answers develop over the course of time. Such a great topic. I am still figuring me out and thank goodness it took me til my mid 30s or so to do so – kids these days have so many choices to make. When I was young I wanted to travel the world and be a writer. I still want to be that and I’m working towards it. I have never really thought about this question to ask my son and he is seven. I wonder what his answer would be! How adorable!! We record the kids every year, and then show them the next year! They sometimes cant believe thats what they sounded like or how they felt at that time! Its great! It’s so funny that as parents we tend to ask kids this question. At what age do we really even have any idea of what our strengths are? lol I think I started out saying I wanted to be a Ballerina. Seriously? That is definitely not something I should do (or would ever get paid to do). lol I love your kiddo’s videos! It’s funny you mentioned that…my friend Lynn, her daughter grew up to be a Prima Ballerina in the Russian Ballet. Apparently when she was a little girl her mom (Lynn) took her to the ballet and she sat in the seat and wept the entire time…when she was asked what was wrong she said “it’s just so beautiful mom” and it was then that Lynn knew her little girl was going to be a ballerina. It’s nice to learn early, I’m sure. I wish I could figure mine out… I’m tired of being in limbo. Aww great answers! It’s awesome that they all have such different interests. Your daughters might team up though! Though depending on the day the youngest flip flops between wanting to help animals or people. Love the kid videos. Even the quickest “What i want to be when I grow up” videos will be cherished in the future! My oldest (who just got his black belt) wants to own his own dojo and my little one wants to be a mailman, but have a route on my street so he can come to my house for lunch lol. so cute.